After many years on the mainland for both school and professional practice, I am happy to be back home. I practiced orthodontics in Arizona and Washington for over seven years, but always missed the Hawaii culture, family and friends. I was drawn to orthodontics by the opportunity to enhance self-confidence and improve the lives of my patients. Seeing the transformation from the beginning of treatment to the final result is a unique and rewarding experience. 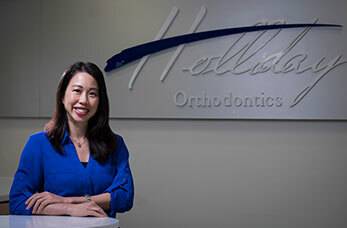 I am excited to be part of the team at Holliday Orthodontics and look forward to creating beautiful, healthy smiles. While practicing in Arizona, I was a member of the Arizona Orthodontic Study Group and president of the Scottsdale/Paradise Valley Dental Study Club. In Washington, I was a member of the Washington Society of Orthodontists and the Eastside Treatment Planning Group. I have participated in multiple continuing education courses to stay informed about the latest advances in the orthodontic field. Most recently, I attended the Damon® braces forum, Damon braces in-office course, Invisalign® seminar, and the adult treatment conference. Outside of the office, I enjoy spending time with my family and friends, trying new restaurants, going to the gym, running, and traveling.